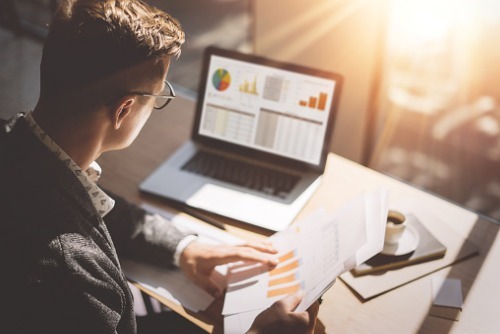 With the environment of increasing interest rates and market uncertainty, more and more individual investors have been battening down the hatches and putting more ballast in their portfolios. That means a growing focus on their bond portfolios, and a rising interest in bond ETFs. Bond ETFs aren’t just getting increased attention from retail investors, however. Citing a report from Greenwich Associates, iShares Head of Fixed Income Strategy Matt Tucker said that 60% of institutions in the US and Europe have dialled up their use of bond ETFs over the past three years, reaching an average allocation of 18% in their fixed-income portfolios. “One of the major forces driving the move to ETFs is the evolution of the bond market since the financial crisis,” Tucker said in a commentary published on BlackRock’s blog. With two thirds of institutional investors reporting that diminished liquidity has impacted their investment management process, the bond ETF has come in as an ideal solution. The top reason for using bond ETFs, liquidity and low trading costs, was cited by 80% of institutional investors. “[T]he structure allows investors to trade bonds on exchange, like a stock ETF, thus offering multiple layers of liquidity through primary and secondary markets,” Tucker said. The operational efficiency of the structure — which allows near-immediate exposure to a portfolio of securities in one line item, without the nuisance of pursuing individual bonds — also appealed to 78% of institutional investors. How will a Canada-US retirement showdown shake out?